Well, in our district, we are on a day one, two, three, four, five schedule this year. Confusing...yes, do we miss a day with our kids...no. So, teaching science all day looks kind of like this... my day ones, what might be a Monday for someone else, is actually on Thursday for me. Yikes, right?!? My Thursday, started like this.. Each day we start out with a fourth or fifth grade, followed by a third grade. My afternoons, are kindergarten, first, then second grade...each and every day, but day fives...Wednesday's right now. That is when most of my prep time is. Three days a week, I also teach an enrichment class of 15 kids in third grade. I teach reading, writing, science, and math to this group. They help pick out the concept they want to learn. This next unit, is space. So, I am organizing a space unit for them. At least, I get a chance to change it up a bit, but I do love teaching science. Our kids get so bogged down with learning every second, science lets them get some hands on fun, while learning. 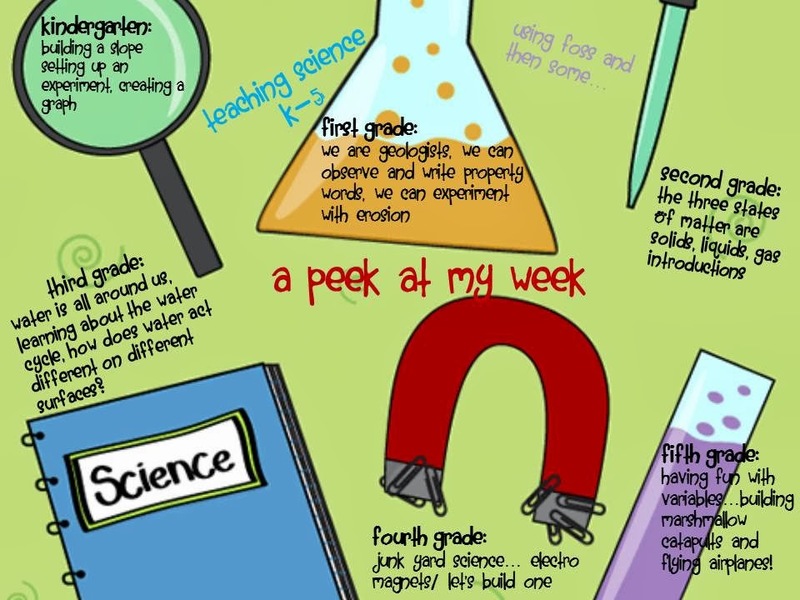 I will post pictures this week once my kiddos start their new experiments. I can't wait to see if my fifth graders can make a catapult out of 10 tongue depressors and two rubber bands to toss marshmallows into the air for them to catch in their mouths. I am working on the sheets to go with it today. I will share that free. Stay tuned. Such a clever teacher you are! I can only imagine how much fun your 5th graders will have catching those marshmallows. Thanks for linking up & have a great week! Wow... My head would be spinning with your schedule! Sounds like you use your time well though and your students are lucky to have you as a teacher! The best thing about my schedule is that I plan for 6 science lessons per week, compared to that each day like a regular ed teacher. I did that for 20 years. This is a great break. The enrichment class is just a bonus. I love the comments. Thanks for visiting!